Startech Power Adapter molex to SATA - Boom I.T. 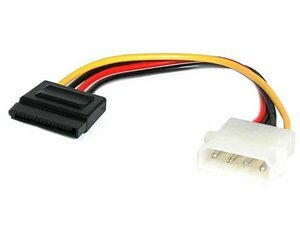 This 6-inch, 4-pin (LP4) Molex to SATA power adapter cable features one 4-pin Molex (LP4) male connector and one female SATA power connector, allowing you to power a Serial ATA hard drive from a conventional LP4 connection. This eliminates the need to upgrade the computer power supply for compatibility with the SATA hard drive. Compatible with both 2.5” and 3.5” Serial ATA Hard Drives allows the use of newer hard drives with older power supplies. 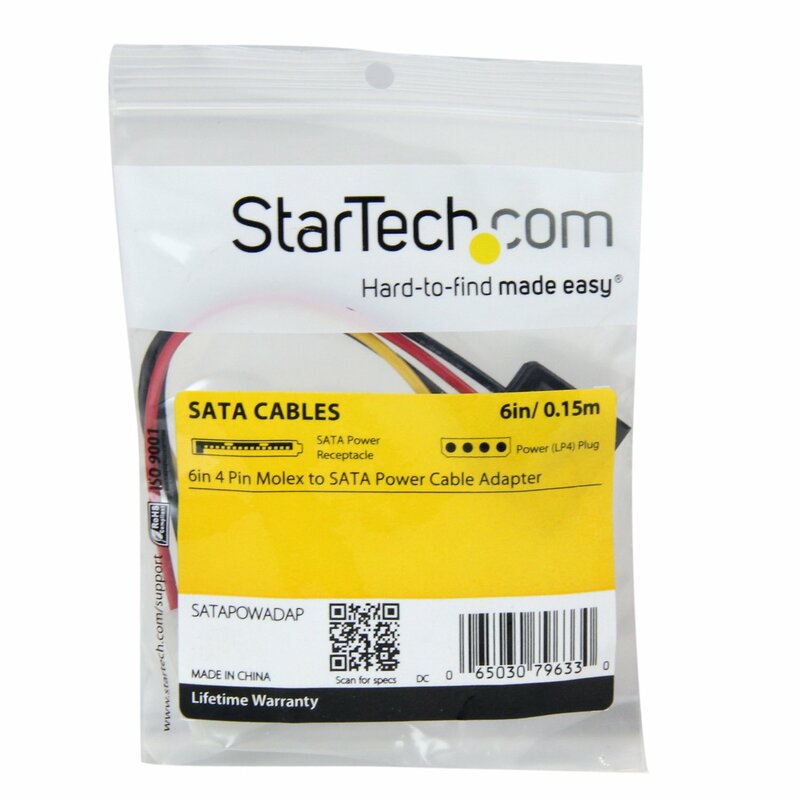 4 PIN MOLEX (LP4) TO SATA (15 PIN) The StarTech SATAPOWADAP is a 6-inch 4 pin Molex (LP4) to SATA (15 pin) power cable adapter, enabling you to connect a Serial ATA Hard Drive to a standard internal power connector and providing power to your Serial ATA hard drive through a standard Molex connection from your power supply. 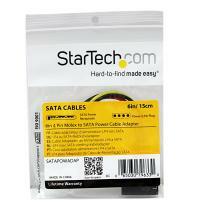 COMPATIBILITY The StarTech SATAPOWADAP is compatible with both 2.5” and 3.5” Serial ATA Hard Drives, no need to purchase a new power supply to use newer hard drives.